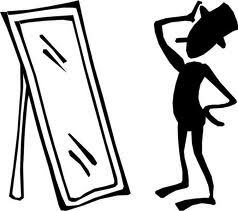 Mirror, mirror on the wall, which software best to take? Sitting right now on the design of a learning activity for work safety I feel like the stepmother from Snow White standing in front of the mirror asking myself not who is the fairest one of all, but which software should I apply. The Top 100 Tools for Learning 2011 compiled by Jane Hart might shed some light into my problem. Similar interesting is Jane’s Top 20 Tools 2007-2011 which reveals a slightly different picture. Well, I learned several things viewing the slide share presentation. Camstasia which I want to use to design screencast is on place 28, followed by Audacity an open source sound editor and recorder which I already used and which I can recommend. So what does that tell me? To change my design? That is not really possible as I have to adhere to a given framework, which dictate some certain terms, e.g. that participants have to work individually and take a test at the end of a training unit to achieve a certificate for successful participation. Pretty traditional one would say 😦 , but Cathy Moore has some good ideas how to improve traditional learning scenarios into engaging learning units. Kathy’s blog post ‘Why you want to use scenarios in your elearning‘ launched a change, because although I know that elearning should apply a different pedagogy as a classroom I found it nevertheless difficult to realize that. Watching Kathy’s presentation provided me with some good ideas how to improve my work safety course. Although, interesting is her post ‘How to create a memorable mini-scenario‘. These two posts together with her advice not to treat learners as idiots (Are learners idiots?) and ‘help people to solve problems in the real world’ and to design an experience not information were more than helpful to improve my learning design for the course. Yet, though I created a lot of mini-scenarios so far, I am still undecided which authoring tool I plan to apply for the implementation, because all of them have their downsides. Downsides in terms of that they require some expertise to design elearning activities, that I not yet acquired and/or that they do not fully support the ideas that I want to realise.